Man's best friend, dogs have really become part of the family. I find myself calling my dog Alfie my little brother, or cooing at him calling him my baby. Dogs are just as cute as little babies, and as much trouble as toddlers, but they're a treasured part of the fam. Can you tell I'm a dog owner? My instagram is covered with pictures of my dog, who I'm totally in love with.Their dopey expressions, their personality and wagging tails make it hard not to fall in love with them. In which case, they shouldn't be forgotten at Christmastime. 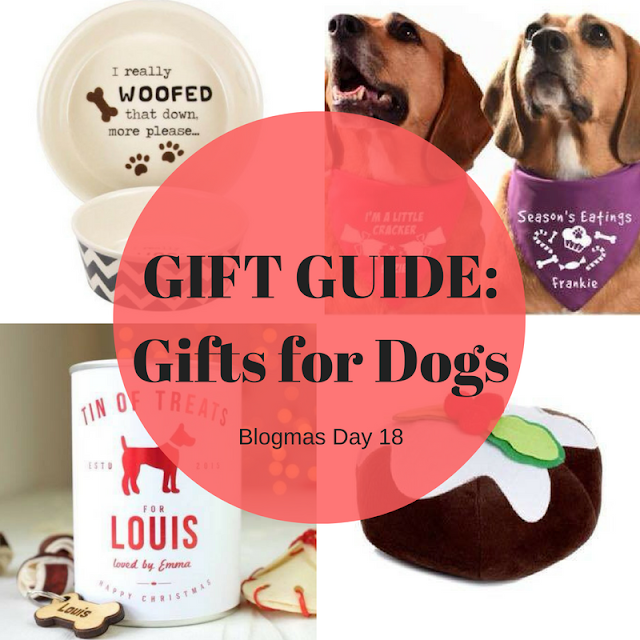 Dogs deserve a little treat for being a good boy or girl all year long too, so here's a light hearted gift guide for those loved fur babies. It's no understatement that dogs will eat everything and anything, so why not give them something that they're actually allowed to eat? 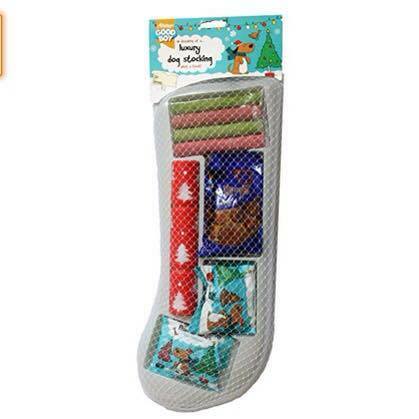 Lots of shops have fun edible stocking that are filled with lots of treats, to keep your pup occupied while you tuck into your Christmas dinner. 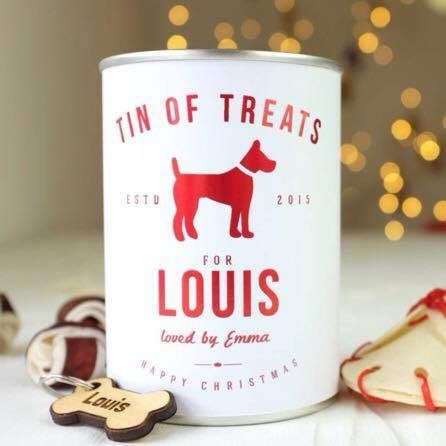 Speaking of all those tasty treats your dog has, why not store them in a cute tin that has their name on it? This way you don't have packets lying around (for these to sniff their way to) so really its a gift to you too! I love seeing dogs in bandanas - they look so cute. 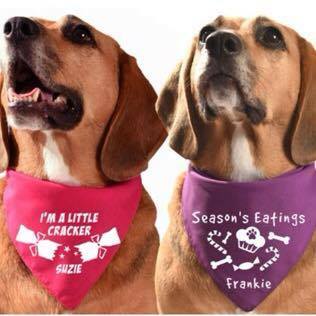 These bandanas are adorable for Christmas day and will have your dog looking swish. You look your best on Christmas day, so why not let your dog too? Half the time they're a ball full of energy that you can't contain; the other half, they're curled up sleeping. A new bed is perfect for this time of the year, after all it's endured a year full of muddy paws so could probably do with a spruce up. This pet parcel is adorable (and they have a version for cats, for any feline lovers). It's from pets at home and will make Christmas shopping for your dog a lot easier. For £15, you get a box filled with treats and toys, which is a huge deal cheaper than if you bought them individually. Your dog will love finding all the surprises in this box! Food is always a good route to take with dogs - and this dog food bowl is a great gift for all year. 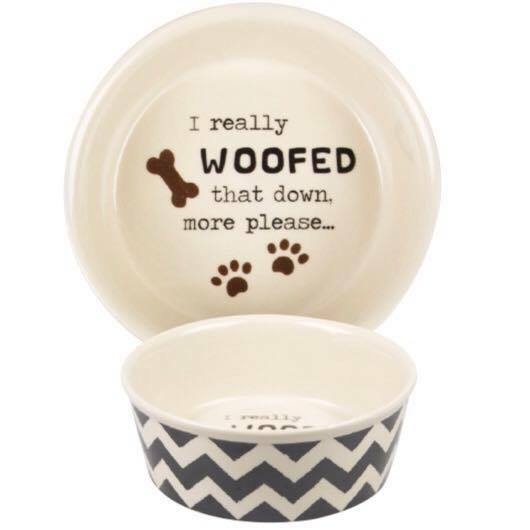 Since dogs can't speak, this bowl is perfect to convey what's on their minds - more food. This bowl is from Dogs Trust, meaning you're helping out a charity too! This is a gift purely for the dog's joy - I haven't met anyone who loves giving squeaky toys to their pet, but if you can't make an exception at Christmas then when you? 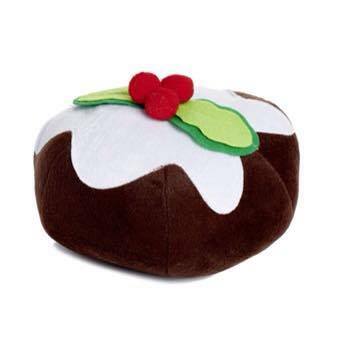 A squeaky toy will give your dog hours of fun (and you a headache), and since its Christmas you can get a Christmas Pudding shaped one from Wilko so that it fits in with the decorations. Its cold and wet this time of the year, so while we get wrapped up for going out on dog walks, it seems right to give your dog a coat of its own. We have one for Alfie and it keeps him warm, and keeps mud from covering his body so the coat needs a quick wipe, rather than cleaning messy dog prints and splatter marks (from the inevitable shake when they get in the door) around the house. I can't wait to spoil Alfie rotten on Christmas day with lots of new toys and treats. After all, he deserves lots too. Do you get your pet gifts?